In 2014, the We Ride Australia (formerly the Cycling Promotion Fund), led the first Australian ‘Influentials’ study tour to the Netherlands. The 10 leaders participating in the delegation returned to Australia with knowledge, ideas and most importantly inspiration about the possibilities to create better cycling environments and transport systems in Australia. 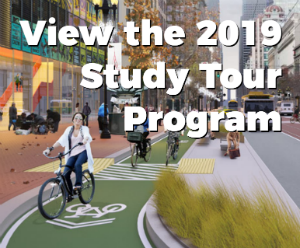 Based on the experience of the 2014 and subsequent international Study Tours and their ability to drive change within our communities, We Ride Australia will be leading its next transport Study Tour to the West Coast of America in September this year. Continuing to focus on creating communities for people, our delegates this year will have a focus on technology and change as they experience a broad range of transport environments with site visits, presentations and meetings that educate, inspire and empower all participants in an intense 5-day immersion. 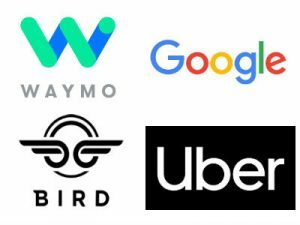 With a focus on technology, some of our key presentations and experiences will be from Google, Waymo, Uber and Bird, combined with engagement with city and state officials, academics and local industry, will provide an understanding how they fit within the community, cities and states. This program has been designed for decision makers, and influencers to create the leadership for Australian cities as they face the challenges of transport for a growing population. For further information or to discuss joining one of our expert study tours, please contact Stephen Hodge and Peter Bourke.